Ten years ago today, one of the most iconic and influential films in our lifetime premiered in theaters across the country. With a cast consisting of a prime Lindsay Lohan (so much potential), a younger Rachel McAdams, and one of my favorite comedians in Tina Fey, Mean Girls became an instant classic. I don’t buy into the hoopla about it being a chick flick, or a movie for girls, because that’s simply not true. Even the “mushy” kiss at the end was passable on man standards, and the comedy throughout the film was sublime. My only gripe with the movie is there still wasn’t enough Rachel McAdams to go around. Sure it’s a personal gripe but it still counts. I also read that Cady and Regina were originally supposed to be played by McAdams and Lohan respectively. Mean Girls came out shortly after Freaky Friday, and it was decided that Lohan as Regina George wouldn’t be as good as a draw for the younger audience since she played a nice girl in that film. The Wizards felt pretty “fetch” last night as they beat the Bulls in Chicago for a third time in the series last night to clinch it. It was the Wizards first playoff series victory since ’05 against these same Bulls. The Wiz also held the offensively offensive Bulls to 11 points in the third quarter, which was a franchise low for points in a quarter. 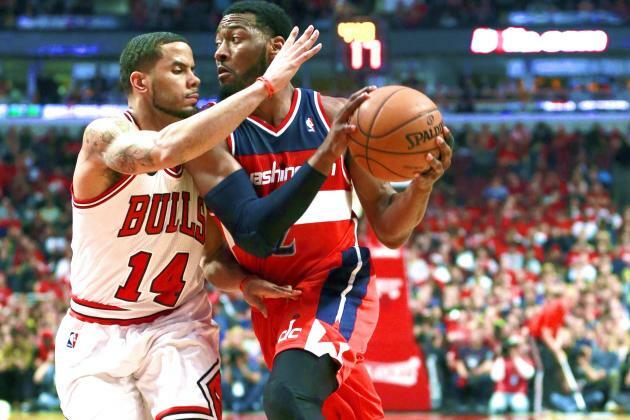 No matter how many times the Bulls made a charge to tighten the game, the Wizards responded with stops and buckets. These young kids look primed to make a deep run in the postseason. They’ll probably end up playing the 8th seeded Hawks, but if the Pacers can man up and take that series, I still think it’s winnable for our lovable sorcerers in DC. John Wall being covered by DJ Augustine in Game 5. Those poor Thunder fans… In typical Regina George fashion, Joey Crawford effectively stole the ball from Durant (Cady Heron) to fix some scoring error before his second free throw. I’ve never seen an official successfully ice a player, but last night it finally happened. This could only be possible during the 2014 NBA Playoffs. 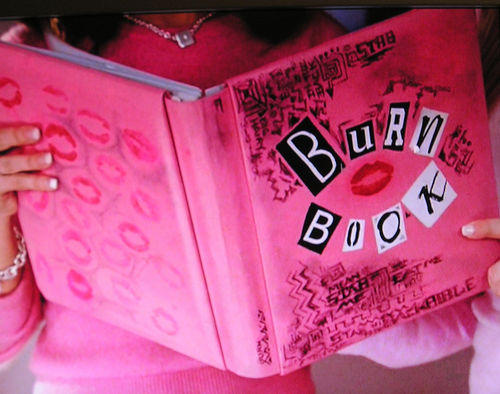 As an aside, I think we can safely say that Kevin Durant is the Cady Heron of the NBA. The once lovable superstar no one could hate will probably feel the heat if the Thunder get bounced from the playoffs in the first round. KD may end up the League MVP, but he’ll be sitting at home before the first weekend in May. His “Plastics” supporting cast don’t appear to be getting the job done when necessary, while Westbrook seems to be laying bricks as a side job. Both Durant and Westbrook are a combined 50-153 from the field over the last 3 games, which equates to a whopping 32.6% from the field. If that doesn’t sound bad enough, the main culprit of poor shot selection has been Russell Westbrook, who is shooting a scorching 34% (to Durant’s 40%) in the series. To make matters worse, check out his 18% 3-point shooting percentage while jacking up about 8 of those per game. Ouch. Phew. Okay, it was a little long winded, but who will step up to beat the Heat this season? Three of the supposed favorites are struggling against 7 and 8 seeds, while the Heat will get plenty of rest before its next series against the Raptors/Nets. If that series goes 7 games, which looks possible, the Heat will end up getting a week’s worth of rest under their belt. Those Western teams will continue to beat up on each other, while the Heat will likely coast to the NBA Finals. It’s just not fair! Caesar isn’t that great! Give Brutus a chance! 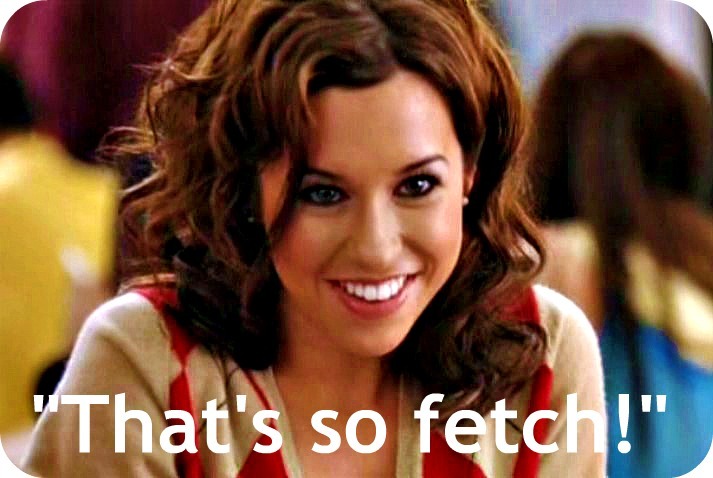 Where does Mean girls rank in your favorite movies? Can the Thunder come out of its 3-2 hole? Sound off in the comments below!